Go beyond adding a "name" to the message. 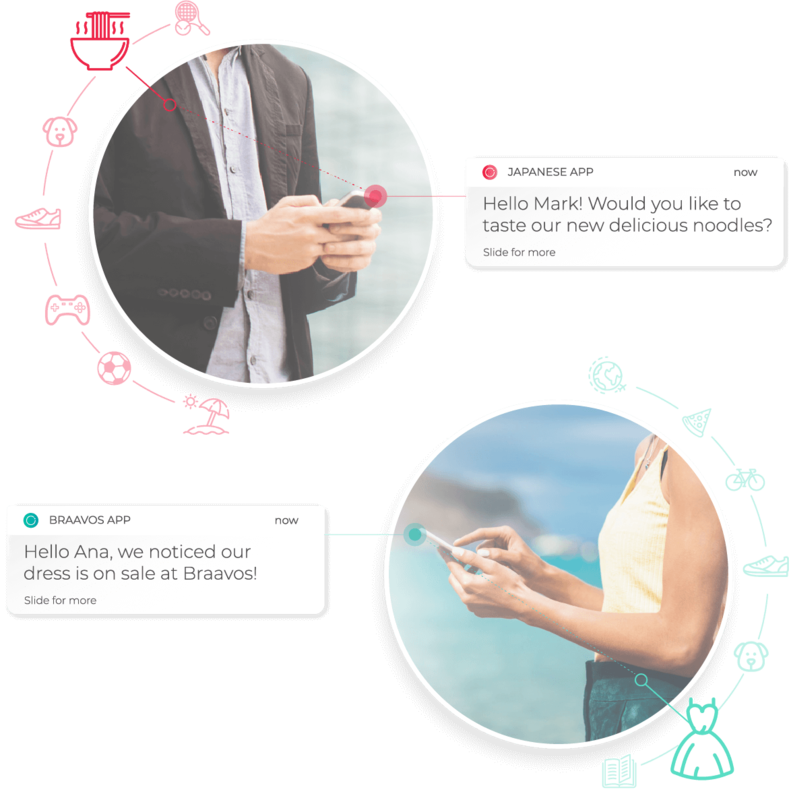 MOCA enables you to create true personalized messages and recommendations based on multiple user attributes. Store, manage and analyze all customers profiles in real-time. From clicks, to profile variables, preferences, history of locations and recommendations, MOCA allows you to enrich your CRM with a more sophistic analysis. 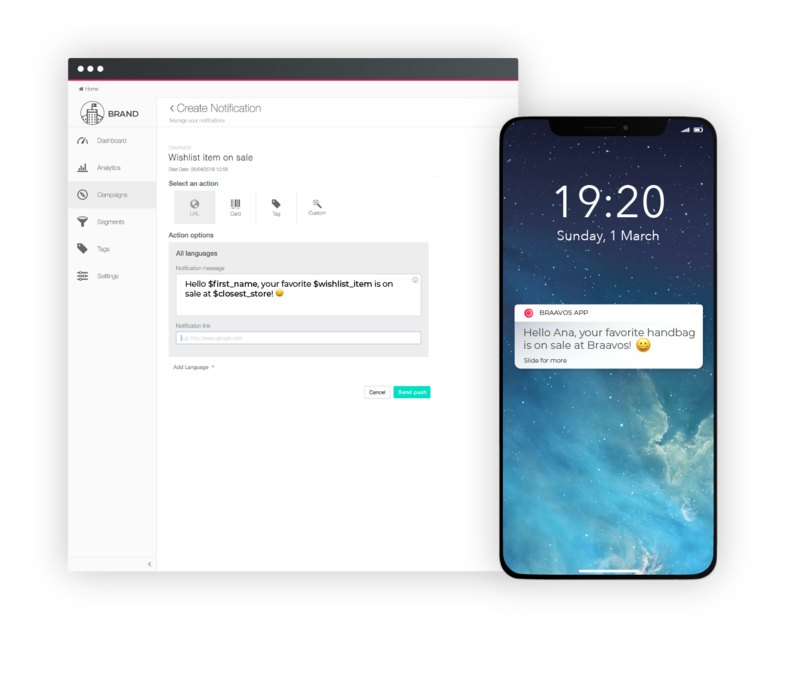 Enables creation of message templates with variables. Automatically personalize messages with any information you’d like: “first name”, “last name”, “age”, “gender”, “city”, etc. Use real-time user location to deliver even more relevant, context-aware recommendations. MOCA enables you to build customer journey maps and create personalize scenarios to improve the relevance of your content. Go beyond adding a "name" to the message and use mobile and web recommendations. 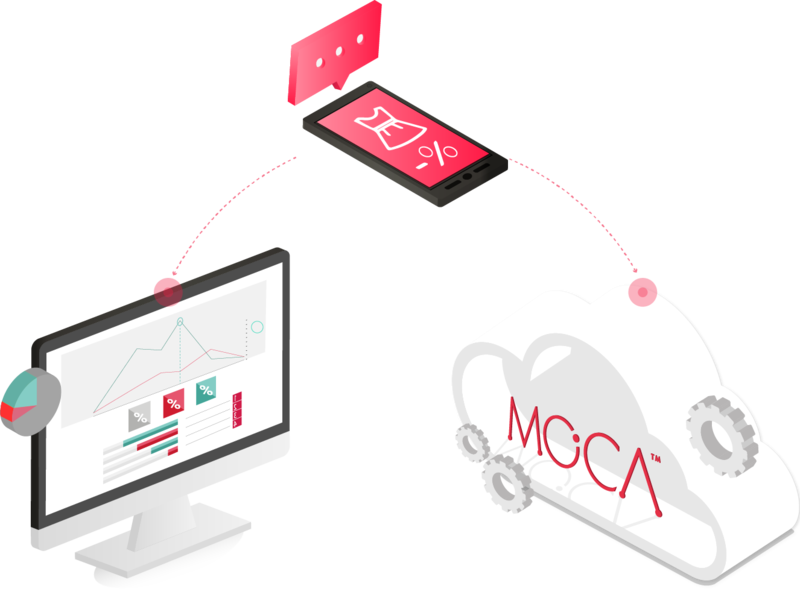 MOCA enables the delivery of personalized recommendations to customers based on learning user interests and preferences through Artificial Intelligence rather than fixed rules. As more data is collected, more personalized digital experiences are created. 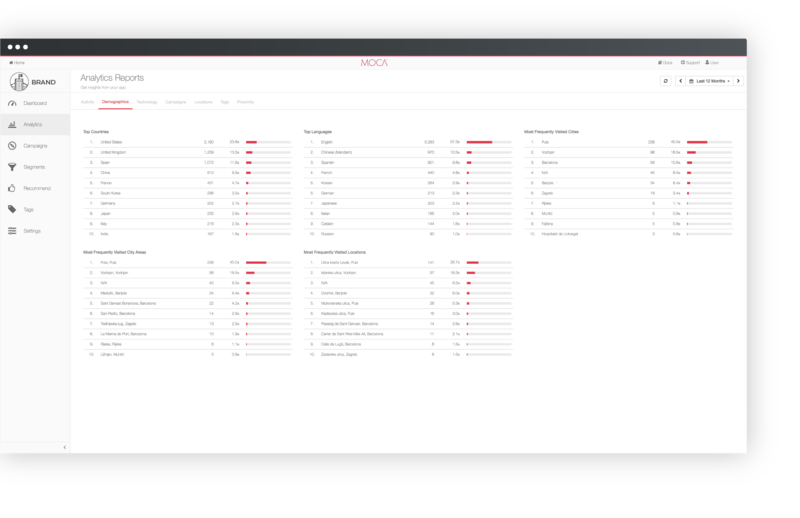 MOCA allows you to connect your CRMs and third-party applications to our machine-learning recommendation platform.